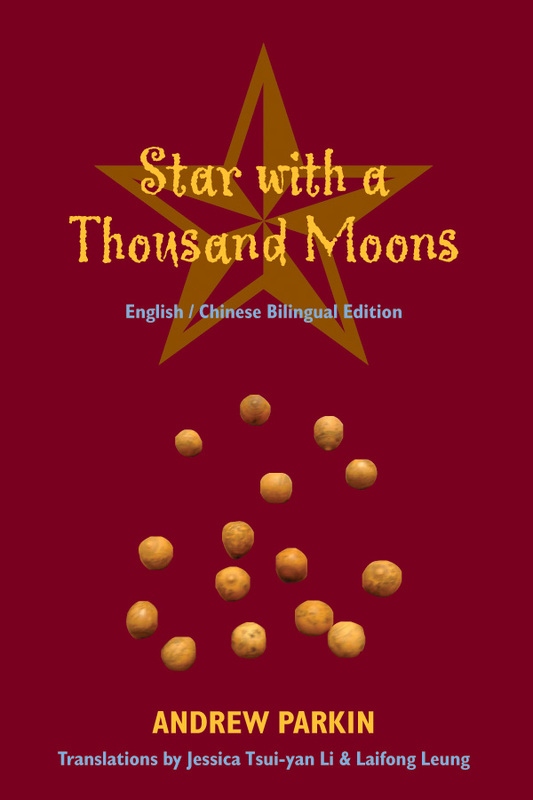 ﻿﻿Star With a Thousand Moons appeared in English from Ekstasis in 2011. Its two major poems were quickly picked up by Peter Lang for Andrew Parkin’s Another Rendez-Vous: Poetry and Prose from the Cultural Crossroads (2011). Ekstasis now presents the poems translated into Chinese by Laifong Leung and Jessica Li with the original English en face. “Star of a Hundred Years” is a tribute to the late Run Run Shaw, father of many Chinese movies. It mixes the Greek ode to the conventions of a film scenario to point up Chinese history, film as an art, and fragments of a film producer’s life. This ‘scenariode’ was first published in India with a Hindi translation by the poet Anuraag (A.R.A.W. LII, 2009). Jessica Li’s translation now makes the poem accessible to readers of Chinese in Canada and beyond. “Gourds” is a collection of lyrical fragments that evoke the Chinese past of Taoist legend, the wars of princes, and the loves of wives and concubines. Dry gourds about the size of billiard balls are engraved with scenes and characters from Chinese legend and literature. They hint at the lives and voices of these figures, including the engraver and the poet himself, both living in our modern world that could still be ruled by forces symbolised by the Eight Immortals of Taoist legend. The poems were suggested by a personal collection of gourds. Laifong Leung not only translated “Gourds” but had several discussions about them and their significance with the poet. Each gourd contains seeds that rattle, just as words, ideas, and images rattle around in the mind. Andrew Parkin has been Canadian since 1970. Educated at Pembroke College Cambridge and the Drama Department of Bristol University, he has taught at UBC and at the Chinese University of Hong Kong, where he instigated Chinese-English poetry readings involving several distinguished Chinese poets. His first three collections of original poetry, including Yokohama Days, Kyoto Nights (Ekstasis Editions) were published in Canada. He now writes poetry, fiction and academic essays full-time in Vancouver.